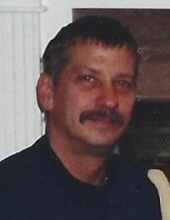 PAUL A. LEVAN, Age 65. Dear friend of Brenda Burns. Beloved brother of Lori Zehe (Dan), and Fran Shalaty (Tom) of Las Vegas, NV. Loving uncle and great-uncle. Paul worked for Alcoholics Anonymous for 25 years and was a 29-year member and friend of Bill W. Passed away January 19, 2019. Funeral Service will be held in the MCGORRAY-HANNA FUNERAL HOME OF LAKEWOOD 14133 DETROIT AVE. Saturday January 26, at 1:30 PM Interment Private. In lieu of flowers family suggests contributions to a charity of one’s choice. "Email Address" would like to share the life celebration of PAUL A. LEVAN. Click on the "link" to go to share a favorite memory or leave a condolence message for the family.